Malcolm X (l) speaks with a young Min. Louis Farrakhan (r) at his side. 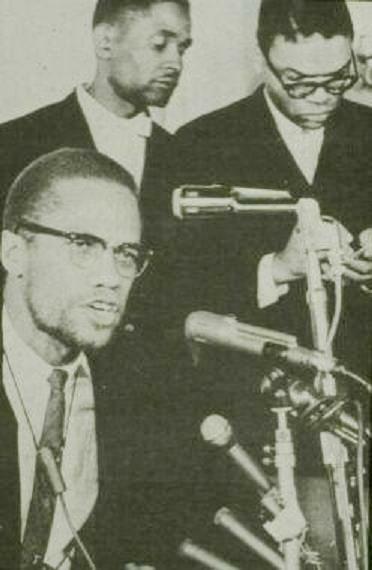 The person to the right of Malcolm X is not Min. Louis Farrakhan then called Louis X. Malcolm had by then Split with the Nation you can even tell by the gotee/beard he was wearing something he never wore while a member of the NOI.